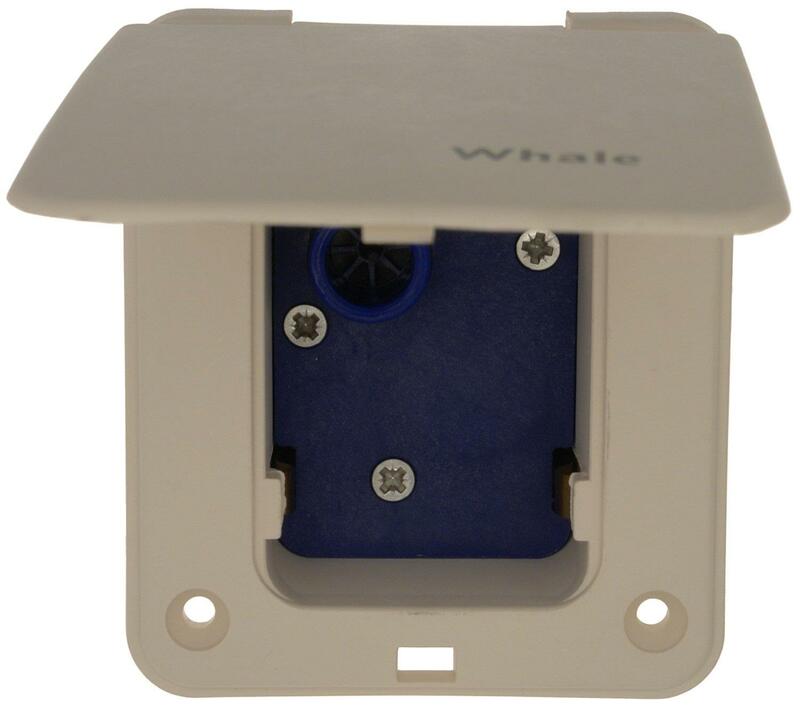 Spare Whale Watermaster socket for system where microswitches are used in the water taps or where a seperate pressure switch is used. 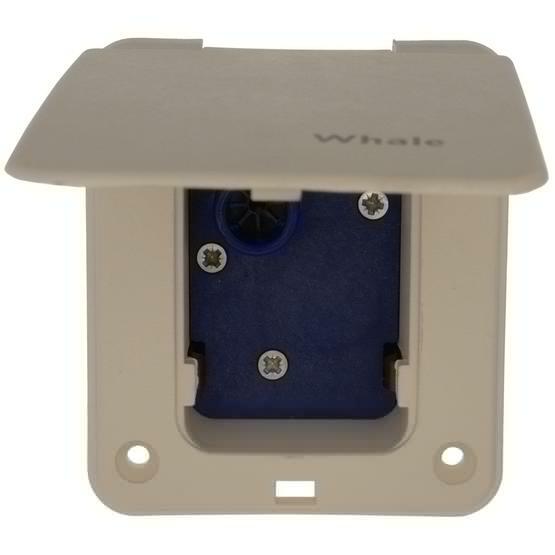 Connection socket for Whale Watermaster microswitched systems. Please note: this socket looks the same as the pressurised socket from the front but does not have the integrated pressure switch at the rear. 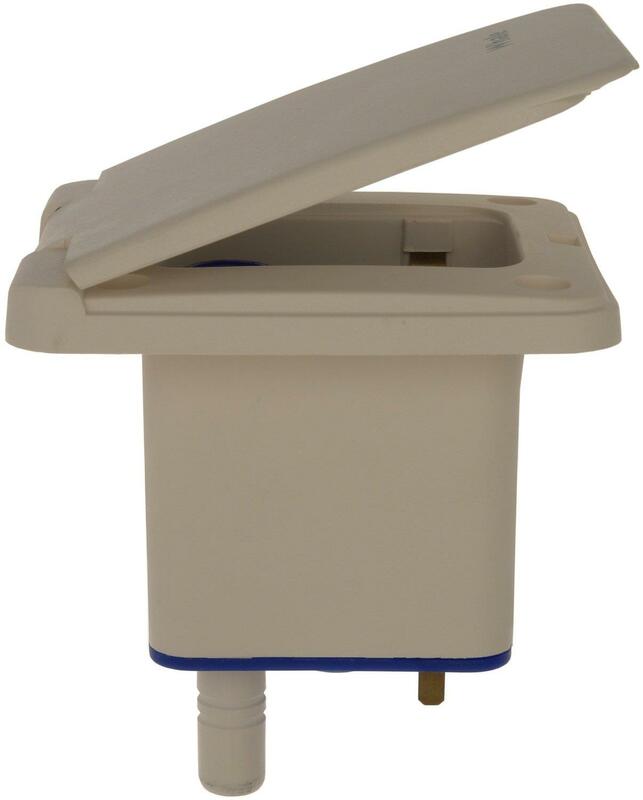 Hi Tom, I want to remove the on board water tank from my 2009 Hobby 560 and replace with a socket and eternal pump for a aquaroll. What parts do I need ? 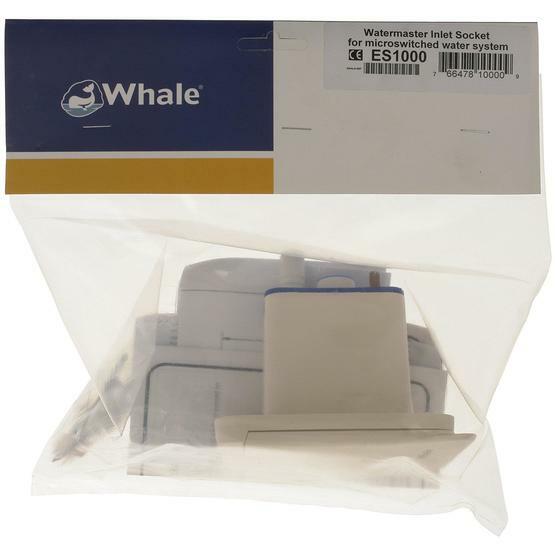 If you have microswitches in your taps then go for Whale watermaster socket, our ref. 127860 together with pump assembly ref. 127855. 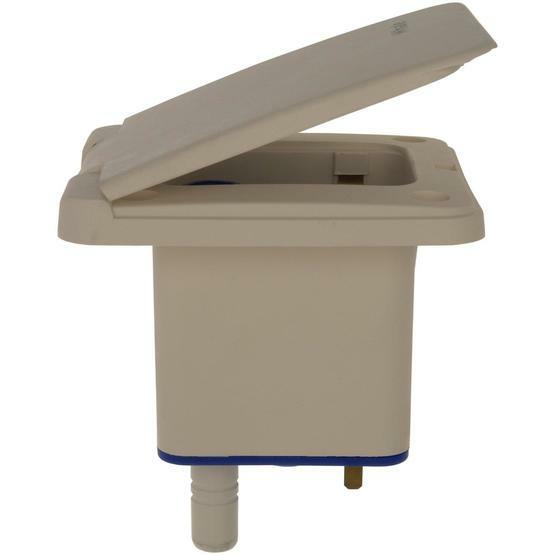 If you have a pressure switch in the system the you can use the same parts as above. If you want to fit a pressure switch system then go for socket 127861 together with pump 127855. You will need a connection in the side of your motohome to connect the pump. 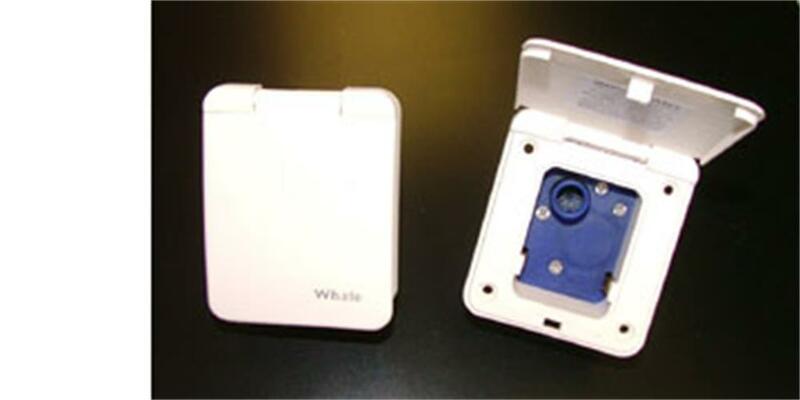 Suggest you use a Whale Watermaster inlet socket 127860 and Whale pump assembly 127854. You will need to make a hole in the side of your vehicle to fit the socket. I am assuming that you have a microswitch in your water taps to control the pump. The above product arrived quickly and was adequately packaged. I was able to replace the existing inlet by removing the four outer screws and withdrawing the unit enough to undo a clip on the pipe and the electrical connectors. Having cleaned the mating surfaces and applied a small amount of silicone mastic, fitting the new one was a reverse procedure. Arrived very quickly !, we were able to fit this ourselves , works perfectly !. Excellent product at the right price. Bought this as a replacement part for our Folding Camper. Customer service and delivery was second to none and would definately recommend Leisure shop direct to anyone. 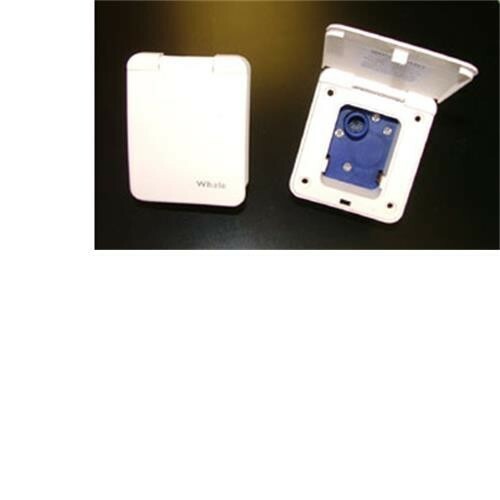 We received item within 2 days of ordering, not yet fitted the product, but don't see any future problems. Look forward to using again in the future. I ordered a new Whale Watermaster inlet socket as my original one was developing prolems.I found the whole experience fist class from start to finish. The web site very easy to use,Delivery was just as stated,and updates via e,mail excellent. I have still to fit the part but don,t envisage any problems as the part came undamaged due to good packaging. The price of the part was one of the best I have found and also the delivery charge was very reasonable.Thank You. Received item in minimum time. Price was very reasonable as was the postage. A good firm to deal with. Geuine products stocked, not cheap copies. have been completely refurbished tested and works!! !